"A candle loses nothing if it is used to light another one ~ Mevlana"
There is so much to write about Macit when it comes to his travels. His profession requires travelling, and that was before he retire. He had the chance to visit half of the world and explore even the smallest village of his country. Don't get me wrong - Macit did not stop wandering. He continues his journey to countries you may not think of going. Now that he is retired, he wants to realize his dream to tour the world --- this time with the use of his car. Wow, that is exciting, I told him. Well, he said, "maybe that is only a dream and I may not have the chance to make it, but --- even dreaming is a good motivation to start." Good luck Macit. I am sure you can do it! Although English is not his mother tongue, I can say that he is a linguist of some sort. Aside from his Turkish language, he can speak French, Italian, and Spanish. 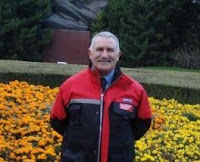 For his hobbies, he is interested in sailing and motorcycling. And mind you, whenever he is in Istanbul, he travels from Asia to Europe, everyday, twice. Wow, that is interesting! For the knowledge of our fellow travellers and those who have not been to Istanbul --- it is the largest city of Turkey and the only metropolis in the world that is situated on two continents, Europe and Asia. "Every tourist have their own preference in exploring Istanbul. Some tourist do not want to go too far. If that is the case, Emirgan Grove is the right place. It is in the middle of the city in the European side of the Bosphorus. Have a sandwich and a tea when you are hungry. That would be enough when you go to the grove --- though there is a good area to picnic," says Macit. Macit used to spend all his summer holidays in Heybeli where his mother lives. The island is only 45 minutes from the city if you travel by boat. 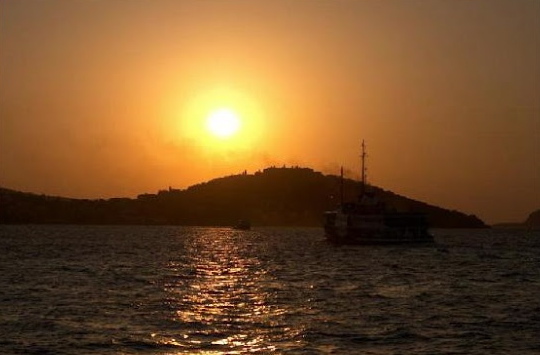 The Princes' Islands are a chain of nine islands off the coast of Istanbul in the Sea of Marmara. These islands are Büyükada (Greek: Prinkipo, meaning "Prince") with an area of 5.36 km². Heybeliada (Greek: Halki) with an area of 2.4 km². Burgazada (Greek: Antigoni) with an area of 1.5 km². Kýnalýada (Greek: Proti,meaning "The First", being the closest island to Istanbul) with an area of 1.3 km². Sedef Adasý (Greek: Terebinthos) with an area of 0.157 km². Yassýada (Greek: Plati) with an area of 0.05km². Sivriada (Greek: Okseia) with an area of 0.05km². Kaþýk Adasý (spoon island, named for its shape) with an area of 0.006 km². and Tavþan Adasý( greek:Leandros) with an area of 0.004 km². Wow, that is far too many islands to go around. There is no traffic on the islands though. Cart driven by a horse is the way to move around. They are incredibly peaceful as compared to the city of Istanbul. The islands are just a short ferry ride from both the Asian (at Bostancý and also Kartal) and European sides (from Sirkeci/Eminönü, Kabataþ and Yenikapý) of Istanbul. Now, Macit will take us to the Ciragan Palace. The ceilings and the interior partitions are made of wood, the walls are covered by marble. The columns are superior examples of stonemasonry. Generally, the palace was lavishly decorated with rare and expensive carpets, gilded pieces and furniture inlaid with mother-of-pearl. 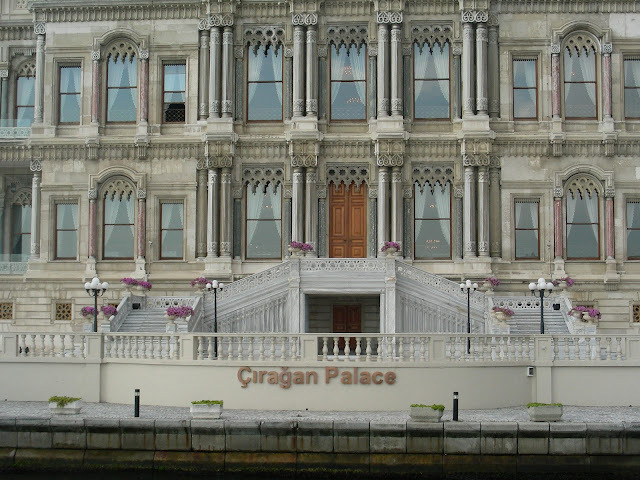 Like any other palaces on the shores of the Bosphorus, the Ciragan had been the venue of important meetings. Macit used to swim in the shores of the palace when he was young. The palace was built in 1871 but was burned down in 1910 and because only the outer walls were left intact, it was used and served as a football stadium for many years -- some of those years Macit plays football in the facilities. In the late 80s, the ruined palace was bought by a Japanese corporation and was turned into a luxury suites. 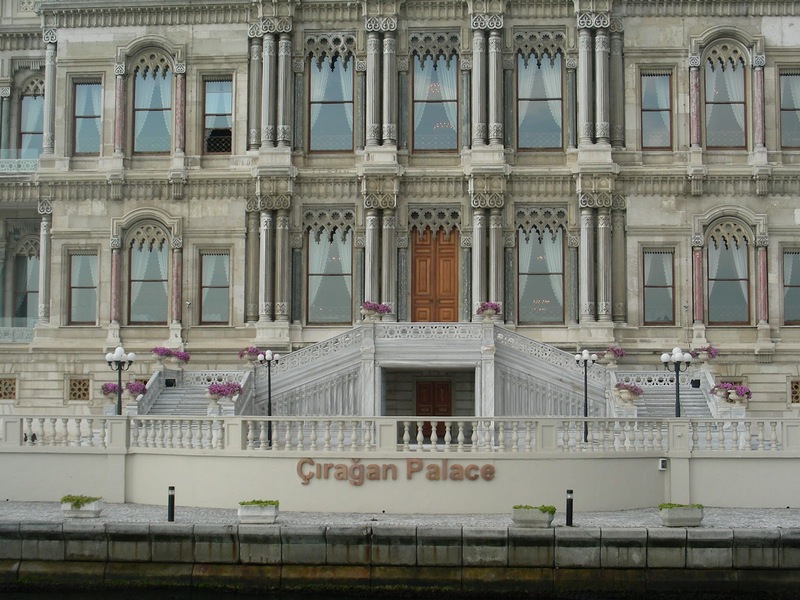 A renovation done in 2007 resembles the authentic palace with baroque style and soft colours. Though there are beaches in Istanbul, it is not easy to have a swim in the city. Most of the swimmers has to go to the Black Sea Coast. 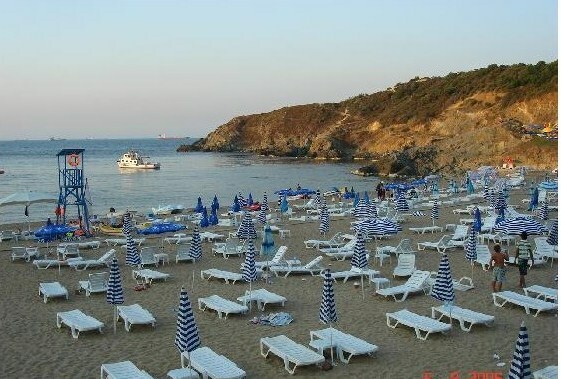 Dalia is one of best beaches which is situated between Kilyos and Demircikoy. It is a private upscale family club with an excellent fish restaurant, with emphasis in seafood, and a cafe that offers traditional Turkish fare. The place is for nature lovers who believe a day at the beach should be relaxing and tranquil. Now, let us go try the lighter side of Istanbul. Let us have a glimpse of the Polish village called Polonezkoy. A very pretty place on the Beykoz-Sile road on the Asian side. For the information of our fellow travellers, Polonezkoy was founded by settlers from Poland who took political asylum in the Ottoman Empire in the 18th century. It offer the visitors the natural beauty and fresh air though it is mushroomed with restaurants, motels, and pension houses to comply to the intensive tourism demand. You can picnic and taste the Polish food prepared by the handful Polish locals of the village and have some fun in strolling afterwards. Sports enthusiast visits in the spring and summer times, while the hunting excursionists come at winter time. Let's head out to the bazaars. 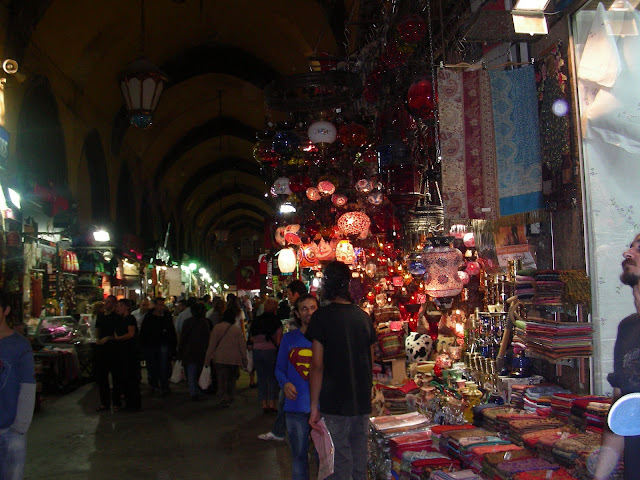 You must have heard of the big Egyptian bazaar and Grand covered bazaar in Istanbul. The covered bazaar is a 'must see in Istanbul'. You don't want to miss the ancient history of this structure. It houses mosques, hamams, fountains, restaurants and cafes. The complex consists of 12 buildings and you won't believe it.....22 doors! You are now coming to the Spice Market or the Egyptian Market. It is filled with the fragrance of the exotic East. Spices, dried fruits, nuts and seeds. Though you will experience some hassle with the shop owners especially street sellers, you will also find all kinds of stuff varying from silk carpets, leather coats, and the most popular Turkish delights. As we are tired exploring the city, let's go and eat our early dinner. 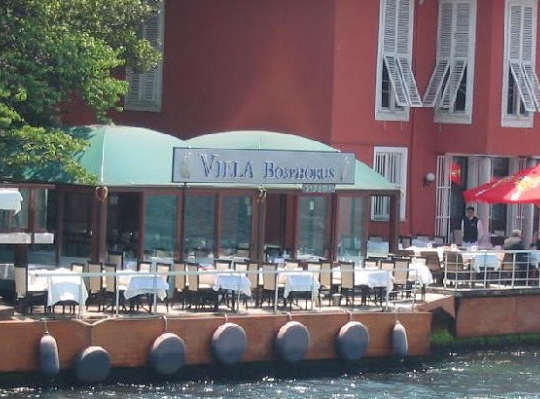 We will try either the Villa Bosphorus or the Zeyrekhane Restaurants. The former is an example of a resto frequented by the local people. 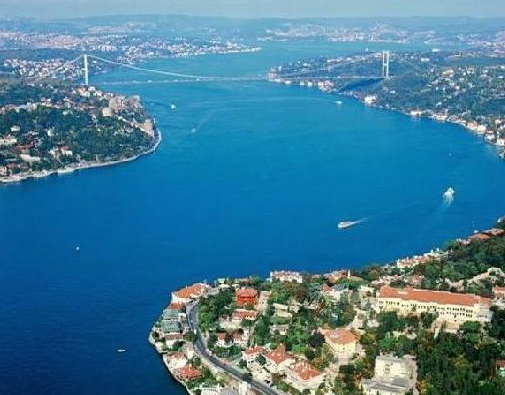 It is situated in the first village in Bosphorus called Beylerbeyi just after the Ataturk bridge on the Asian side. It will be an amazing experience with the food; fish/seafood followed by chicken and lamb kebab but oven-baked helva is the most famous. 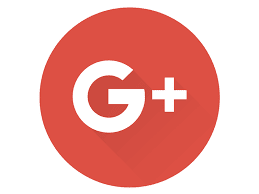 Try it if you happen to be in that area, but let me tell you that there are quite a few bad reviews addressed to this restaurant especially if they are busy and more customers are coming. 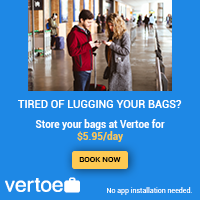 Check reviews before heading out. Here is another restaurant, Zeyrekhane which means 'wisdom house'. A restored house just in front of Pantocrator Monastery atop the Byzantine walls. An extraordinary resto with all the original or genuine decoration that becomes the destination choice for few foreign visitors. The interior is all cool stone and enormous brick. The ambiance in a semi-circular terrace is perfect considering the romantic view of the city in the evening, although the reviews recommend a lunch than a dinner. You should not miss the Sultan Ahmed Mosque or most famous for the name Blue Mosque situated in the centre of the city. In Istanbul, the Turkish call this place of worship as the Sultanahmet Camii. 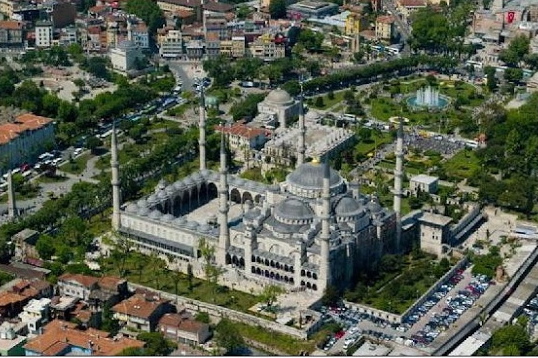 Its design is the culmination of two centuries of both Ottoman mosque and Byzantine church development. Though it is still used as a mosque for most of the locals, it is becoming a popular 'must see' tourist attraction. A good view of the mosque can be seen from the Sultanahmet Square, close to Hagia Sophia. The exterior looks great with the facade of the forecourt. 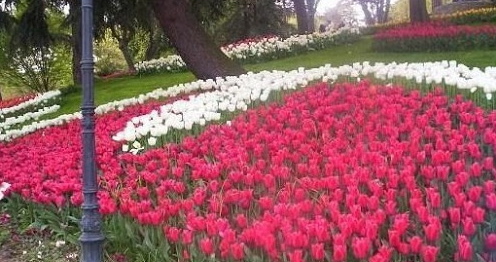 The interior is lined with thousands of ceramic tiles in tulip designs. For your shopping spree, Macit would like to show you a new 4-storey open air shopping mall that opened its door in 2006. 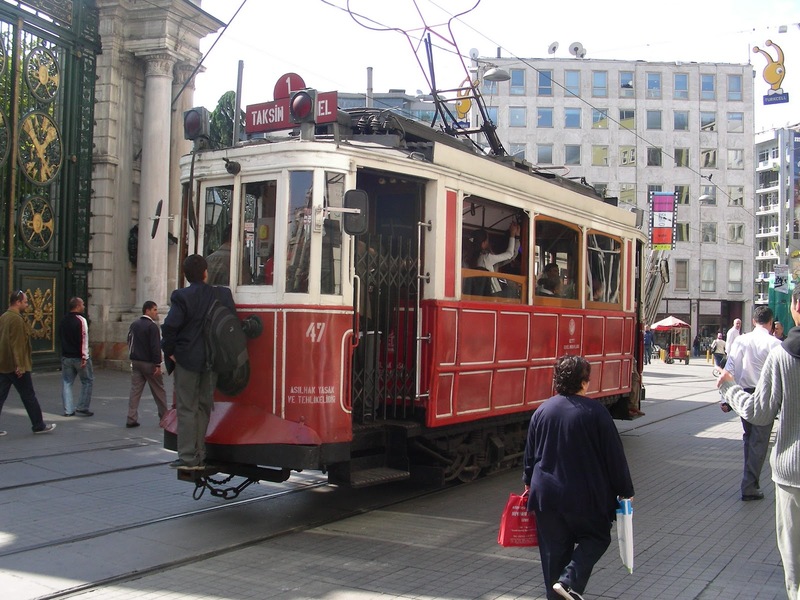 It is the best place to shop as it can easily be reached using the metro line coming from Taksim Square. It is located at the Levent district of Istanbul. Take the Metro and when you are at the Levent Station, it means you are already at the Kanyon Shopping Mall. Shop until you drop at the 160 shops! 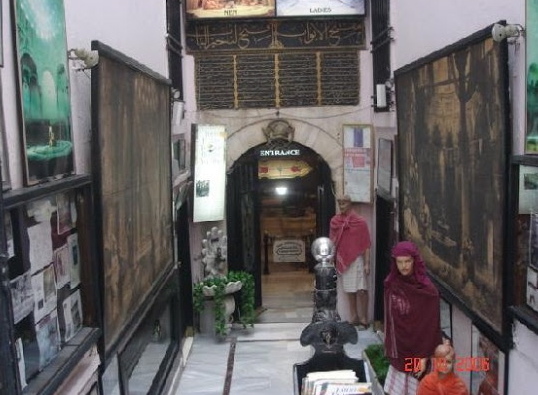 As we are tired going around those historical places in Istanbul, let us now go for a Turkish bath. We will now proceed to one of the best hamams of Istanbul. Talking of the best, let Macit guide us to Cagaloglu Hamami. This hamam was built in 1714, the records indicate. Very impressive and historical building that is. It has separate sections for men and women, and open everyday. Not all who'd been to this hammam liked it though. They said it is expensive for a session at 50 Euros or even more depending on the package. Oh well, that is real expensive! Some say that if you are after the experience, then try it. You can have the full Turkish massage experience --- deep massage, vigorous soap exfoliation, and hair wash. Isn't that nice! Though it is not that easy for a tourist to understand the transportation system in Istanbul, Macit is giving a heads up of the many ways of moving around. You can either take a bus, a metro, tramway, light railway, nostalgic tramway, funicular (local people call it tunnel), city boats that was organized by the municipality for easier water transport in the city. 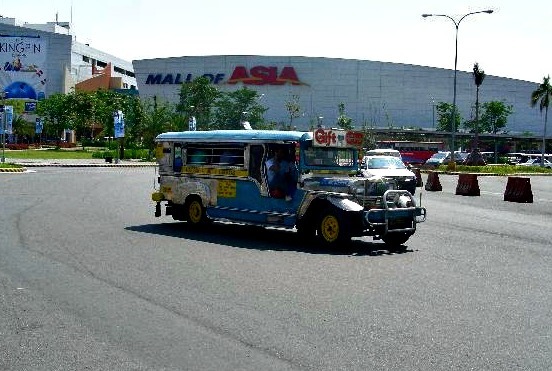 You will also see privately owned yellow cab and mini buses. There you go fellow travellers! Just one piece of advice, if you are taking a taxi, write the name and address of your destination and show it to the driver to avoid losing your way. There is some challenge with the language as most of the local people do not speak and understand English. There you have it my fellow travellers. Just when you are ready to fly to Istanbul, send me a message. I will help you make your stay in Turkey safe and memorable. Turkey is one of the most beautiful country, i'm made to discover! !Really, i will work it out to get there soon!! Very charming.